Mower discs 7 pcs. 7 pcs. 8 pcs. Mower blades 14 pcs. 14 pcs. 16 pcs. Wear skids 5 pcs. 5 pcs. 6 pcs. High-cut skids 5 pcs. 5 pcs. 6 pcs. Mower discs 8 pcs. 8 pcs. 8 pcs. 8 pcs. Mower blades 16 pcs. 16 pcs. 16 pcs. 16 pcs. Wear skids 6 pcs. - 6 pcs. 6 pcs. High-cut skids 6 pcs. 6 pcs. 6 pcs. 6 pcs. Mower discs 9 pcs. 10 pcs. Mower blades 18 pcs. 20 pcs. Wear skids 7 pcs. 8 pcs. High-cut skids 7 pcs. 8 pcs. High-cut skids inside / outside 1 pcs. 1 pcs. The hydraulic lower linkage arm makes it easy for you to hitch up without having to adjust the linkage struts on the tractor. 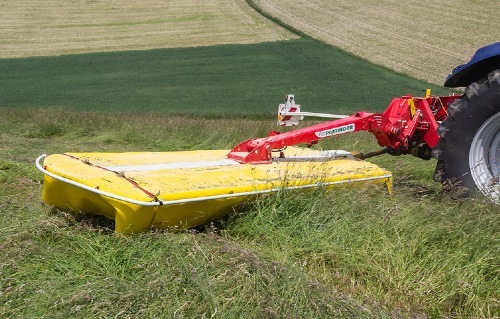 This ensures you always have the right weight alleviation and plenty of ground clearance at headlands. 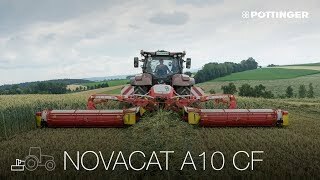 A turnbuckle provides the right setting on the NOVACAT 262 and 302 without conditioner. 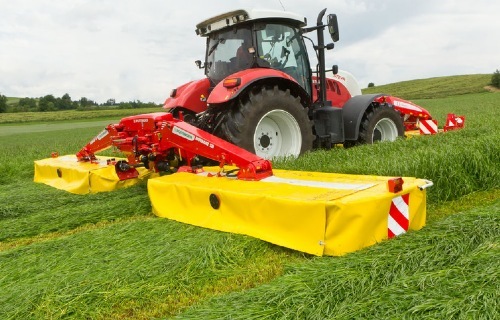 Thanks to the adjustable mounting pins, these mowers can be hitched up to a wide range of tractor types quickly and easily. 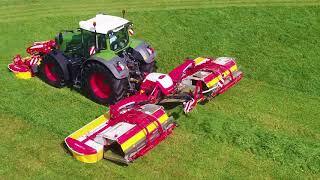 As a result you make full use of the whole mowing width. Practical PTO shaft holder makes hitching up easier. The blade tool is kept on the machine. 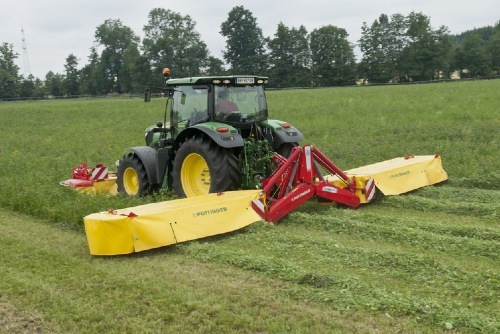 If the mower collides with any obstacles, the cutter bar can fold back through a wide arc to the rear. The triggering force is adjustable. 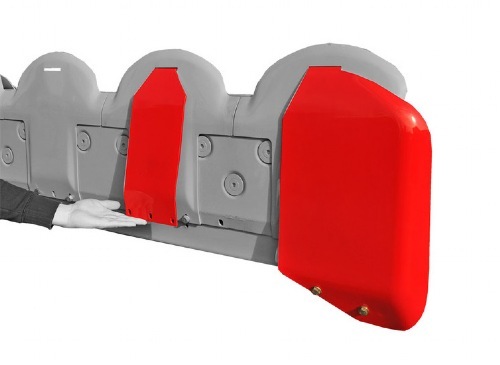 A hydraulic collision safety device is also available as an option. The driveline transmits power directly from the PTO shaft to the angular gearbox and then via a double universal joint in the inner drum stress-free to the gear on the first mower disc. Exceptional smooth running is guaranteed. A friction clutch and freewheel provide optimum protection. Mounting points at each end of the cutter bar protect it against twisting. As a result, the gears and bearings are subjected to less stress for smoother operation and a long service life. The cutter bar is raised using double-acting spool valves. 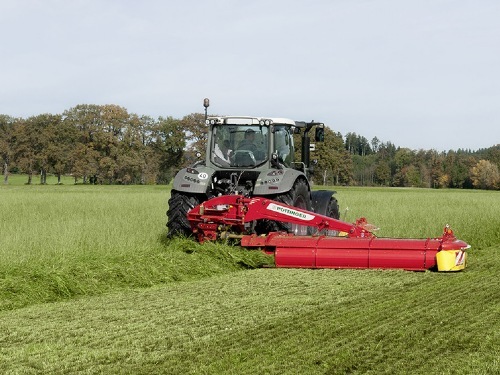 A low transport height is achieved by folding the mower through 115°. 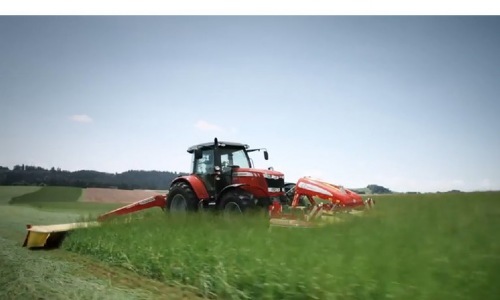 The centre of gravity is on the tractor's centreline and the driver has a clear view to the rear in both side mirrors. 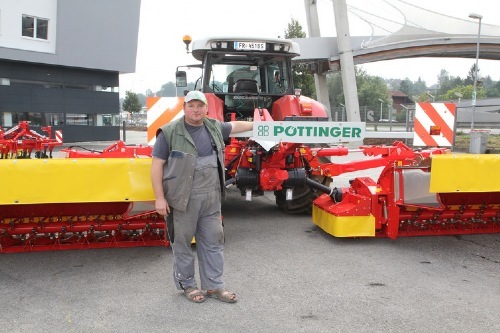 Developed by PÖTTINGER – the "floating cut" is the decisive factor. 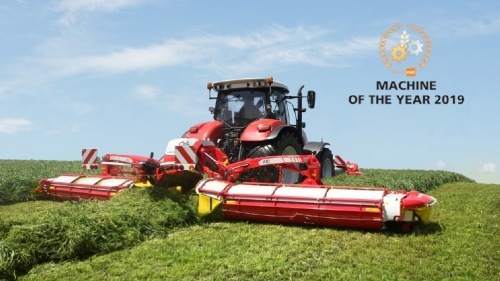 Since the mid-80s, our mower developments have focussed on the "floating cut". 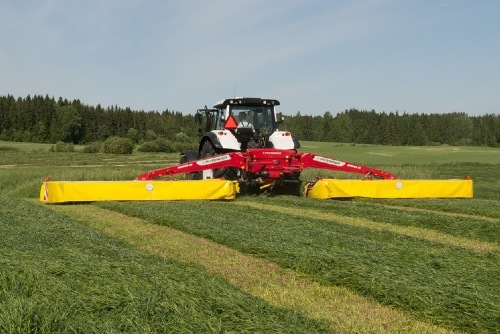 Optimised ground tracking and sward conservation thanks to reduced pressure on the ground is what farmers demand on all mowers. 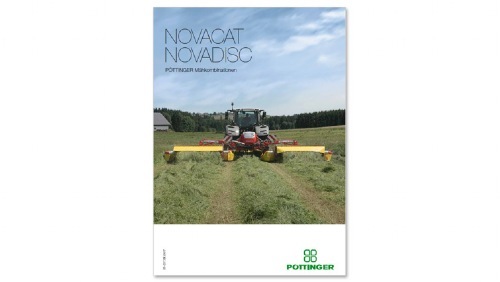 The NOVACAT centre pivot mounting supports the cutter bar evenly over the entire cutting width. 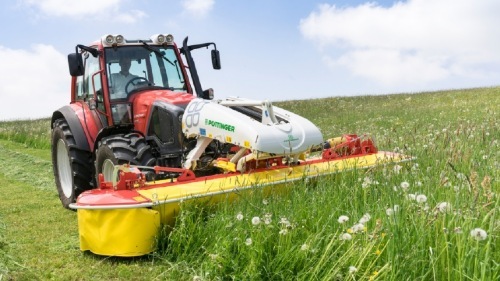 This reduces the power input required – an enormous advantage when mowing with a conditioner. 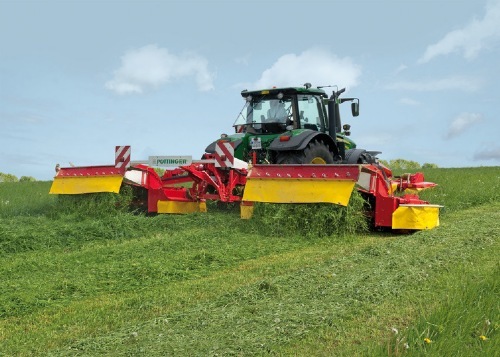 The wide +/- 22.5 degree arc of movement enables easy mowing on rough surfaces and embankments. 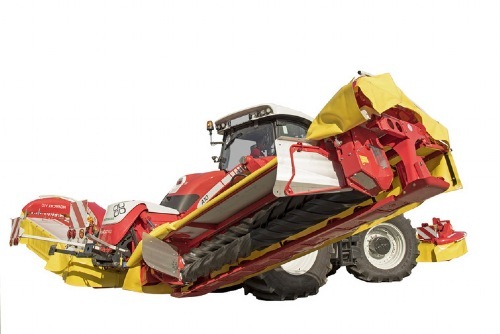 Hydraulic weight alleviation provides uniform ground pressure over the whole cutter bar width. 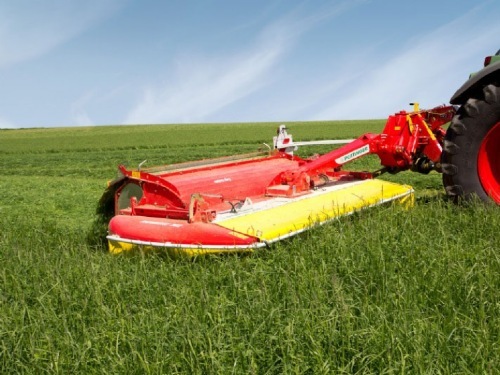 The pressure of the cutter bar on the ground can be infinitely-variable adjusted depending on the condition of the ground and the conditioner or swath formers fitted. No additional filling hose is required and you can read the current pressure at the pressure gauge. 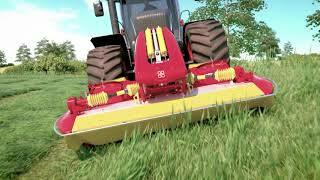 In dry, hard conditions the ground pressure can be increased to stabilise the cutter bar at high driving speeds. 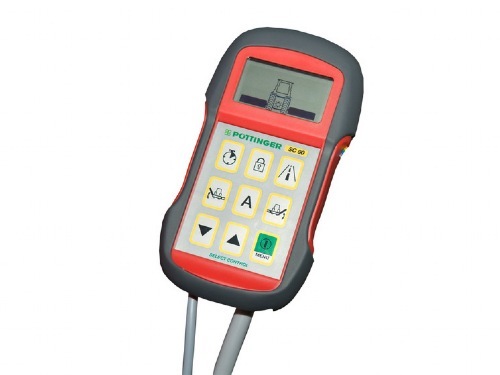 Damp, soft conditions require a reduction in ground pressure to ensure the best ground tracking and conservation of the sward. 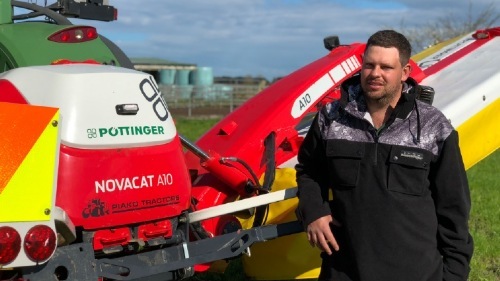 The top end of our rear-mounted mower range without conditioners is represented by the NOVACAT 402 and 442 with working widths of 3.88 m and 4.30 m. NOVACAT 402 and 442 deliver high output and are designed especially for tractors without a front PTO. 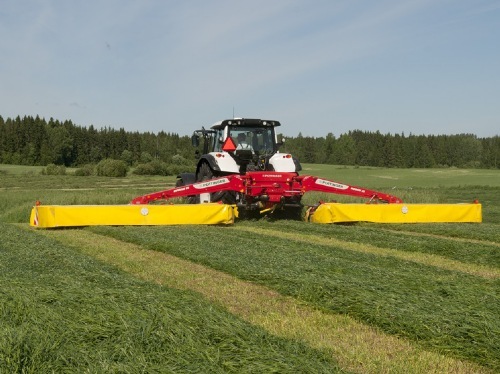 NOVACAT 352, 352 ED and 352 RCB have a mowing width of 3.46 m. Our NOVACAT 352 with tine-type or roller-type conditioner enable a front/rear combination with conditioners to mow up to 6.20 m wide. 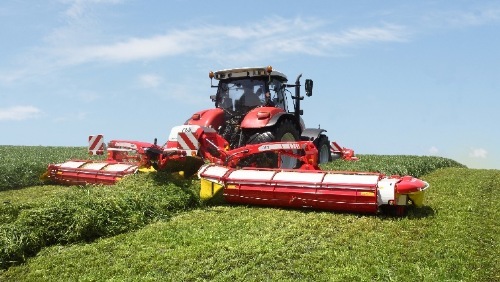 The hydraulic lower linkage arm guarantees easy hitching even with these wide mowers and plenty of ground clearance at headlands. An additional cutter bar reinforcement is offered as an option for especially stony areas. Standard on NOVACAT 402 / 442. Paddle drums at both ends of the cutter bar place a neat swath leaving a tidy wheel track clear. 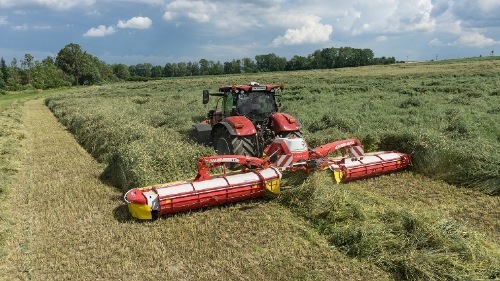 The swath can be divided with two feed drums (optional). 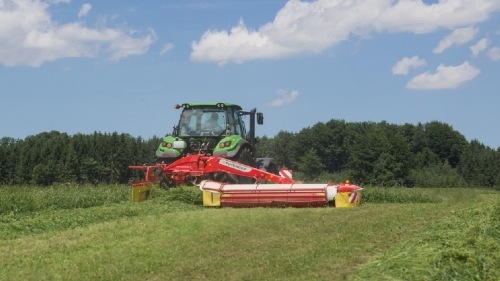 As a result, the tractor is driven over the forage-free area rather than the swath. The mower is swung hydraulically to the rear for transport. The pivot device also doubles as a breakaway device to protect the machine from collision. The cutter bar is also secured using a stabilizer cylinder. 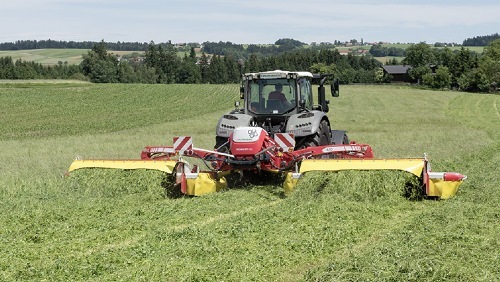 With the cutter bar mounting rotated through 180° it can be adapted to match front mower cutting widths of 3.0 and 3.50 m.
With the NOVACAT 352 CF, PÖTTINGER now offers a cost-effective and lightweight system for merging swaths. 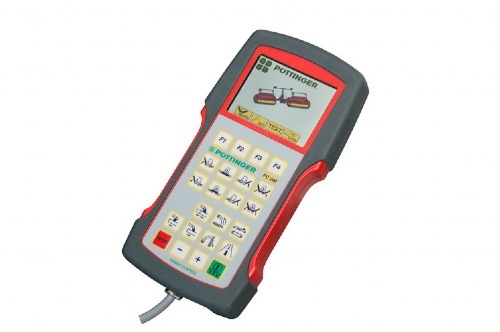 Its low weight and low power requirement greatly reduce fuel consumption. 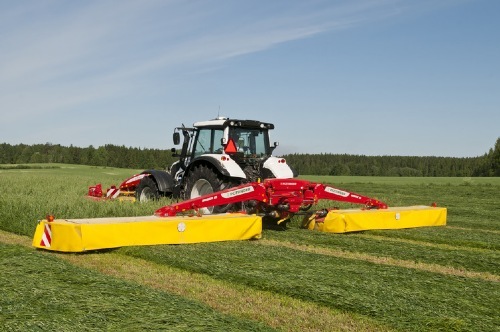 With the NOVACAT 352 CF you profit from much lower investment costs for a swath merging system. This innovative solution does not need a conditioner and enables a weight reduction of 30 % compared to conventional systems. Thanks to its low power requirement, you save fuel costs. 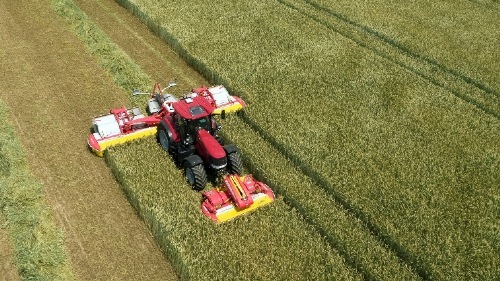 Because the cross conveyor auger runs inside a closed casing, all the crop is conveyed to the swath without losses. Swath curtain as option. 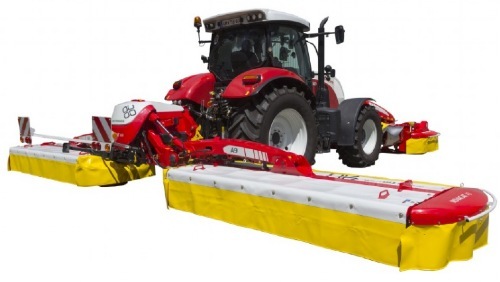 It is easy to switch between wide blanket or swath placement by manually opening the cover. We take ease of maintenance seriously. The guards fold well away to provide optimum access to the cutter bar. Now you can change blades quickly and easily. Press down the spring clip with the blade tool and replace the blade. The blade pin is bolted to the mower disc. This can be replaced cost-effectively if required. Long, tough jobs demand the best quality blades. PÖTTINGER blades are made from high-quality knife steel. We have increased driveshaft lubrication intervals to 150 hours and the PTO shafts are easily accessible. As a result they are easy to service. Practical PTO shaft holder makes hitching up easier. The side guards are strong full-length pressed steel parts. Hydraulic folding is available if required. With the optional parking stands they find room in the smallest spaces. The parking stands are CE approved.